Kids. When they’re bored they can be a bit of a nightmare, but when children are having fun it brings an unrivalled sense of joy. Kids have a lot of energy and get bored easily – so when you come and visit London with the little ones, it’s best to be prepared. 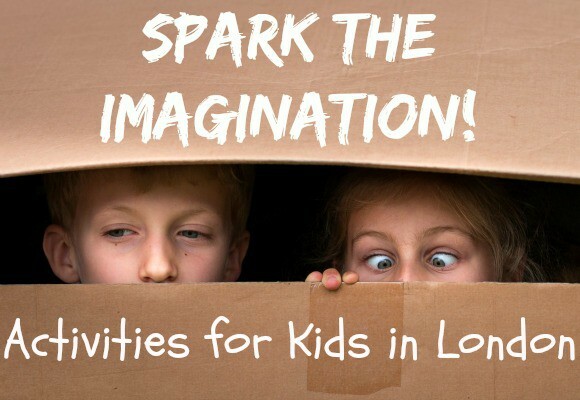 Luckily, London is a wonderful place for activities for kids, with hundreds of options for every day of the week. To help whittle down the decision, here are our most highly recommended things to do. An incredible child-sized city, KidZania is 75,000 square feet of role playing activities for kids – perfect for using up all that energy! 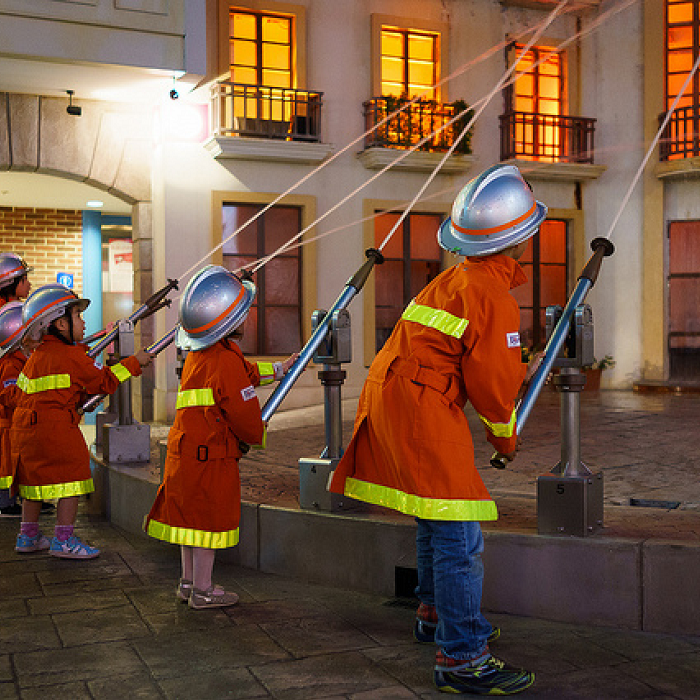 Kids can become fire-fighters, surgeons, radio DJs and even take to the stage at the KidZania theatre! Children aged 7 and over can explore unsupervised (using a clever wristband system that can’t be removed without parents permission), so adults can shop while the kids have fun! For fans of the Harry Potter books or film series, this is a dream come true. Explore sets, see props and learn the secrets of creating movie magic – they’ll be entertained for hours (and it’s pretty fun for adults too!). Be transported there and back from central London on our Warner Bros. branded buses. For children that love animals, the zoo is educational and so much fun. See exotic animals, learn about their different climates and how to take care of them, you can even witness a feeding! Kids will love the butterfly house and the bug exhibit – there are also loads of games and activities they can take part in as they go around. 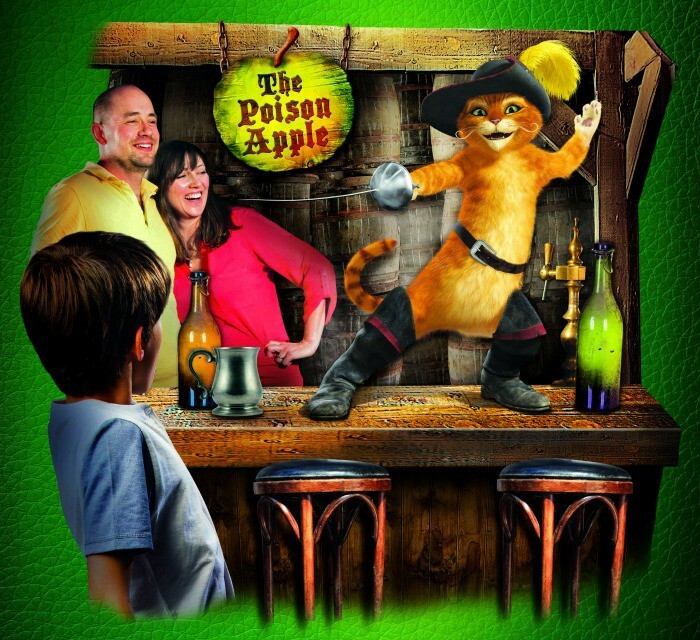 Shrek’s Adventure is a madcap and chaotic journey through the land of Far Far Away, ideal for younger children who want to meet Shrek, Princess Fiona, Donkey and all the gang. Read our full review here. Most London museums are free, so these are such a great option if you’re on a budget. The best museums for kids are the Science Museum – for aspiring astronauts and crazy scientists, the Natural History Museum – for dino-mad kids, the London Transport Museum – for car-crazy children and the HMS Belfast – for would-be sailors! One of the most famous toy shops in the world, Hamleys in London has been around since 1760! The shop has seven floors and an amazing array of toy demonstrations, so you can still have fun even if you don’t buy anything! However, if you’re easily persuaded, you might come out with a much lighter wallet than when you went in! If you have chocolate loving children, this is a shop they will never forget. 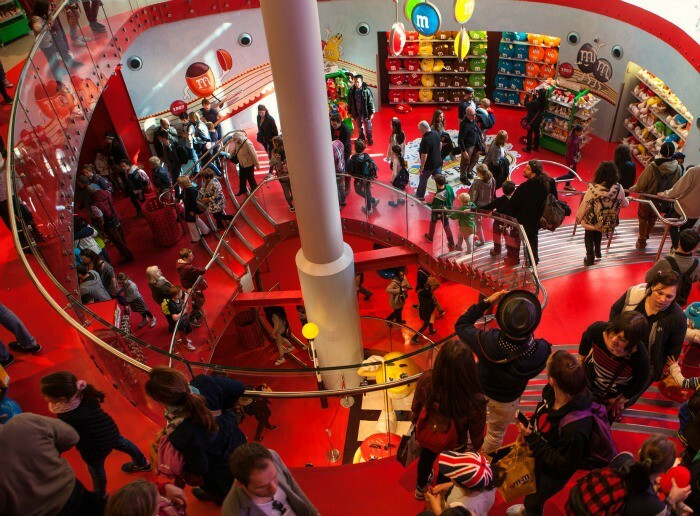 Four floors of chocolate fun, see the whole M&M’s gang dotted around the shop in various poses. You can buy personalised chocolate and pretty much any type of M&M’s merchandise you can imagine. 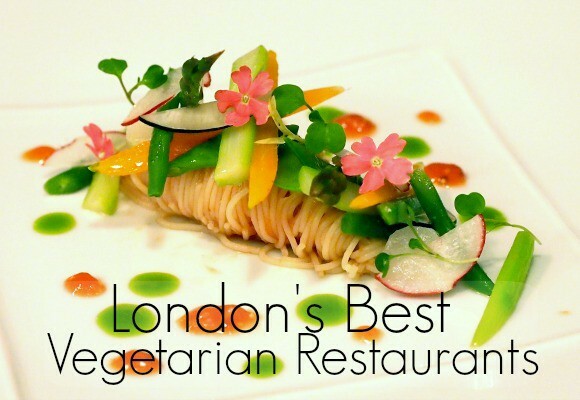 Another budget friendly activity, city farms are dotted around London and the majority are free to enter. Learn how farm animals live and are taken care of – this is a low key alternative to the zoo and perfect for smaller children. Find our summary here. If it’s a nice day, heading to a London park to burn off some energy is a best way to exercise, and budget friendly. Bring a ball, a frisbee and, if you’re with older children, perhaps rent some Boris bikes and cycle around! What are your favourite activities for kids in the city? Images from Barney Moss and Mubarak Fahad via Flickr.